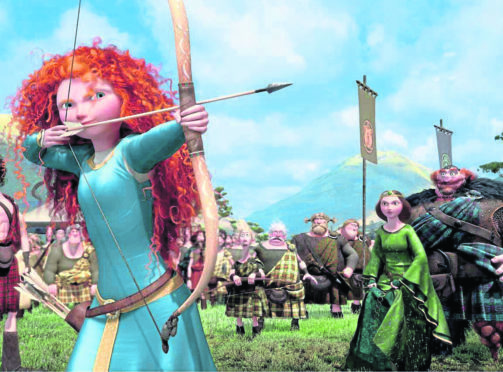 Films such as "Brave" have highlighted the Doric language. Researchers at Aberdeen University will lead a new linguistic survey of Scots – the first such work carried out in about 70 years. Scots has more than 1.6 million speakers in Scotland, and more in Ulster, but there has not been a comprehensive appraisal of the language – including variations such as Doric – since the 1950s. Now the public are being urged to get involved in the project, a Linguistic Survey of Scots. Robert McColl Millar, professor in linguistics and Scottish Language at the university, believes it is essential to gain a better understanding of the way words are used in Scots, spoken today and in the recent past, to assess how the language has evolved. He said: “In Scotland, we have the Linguistic Atlas of Scotland and Dictionary of the Scots Language, but both draw heavily on material collated in the 1950s. Prof Millar believes significant changes have taken place in the last 60-plus years. “In fishing and farming, for example, there are many words associated with machinery or equipment that are no longer in use. The technology now utilised does not have a name in Scots, with the standard English word being used universally. Preliminary field work and recruitment of experts will commence in the months ahead, but the venture will take many years to complete. “This is a huge undertaking,” Prof Millar, said. “The previous survey was quite patchy and relied on volunteers so the quality of the information recorded varies significantly. “We will use the north-east of Scotland, which has one of the best preserved native speech varieties, but want to collate information from across Scotland.